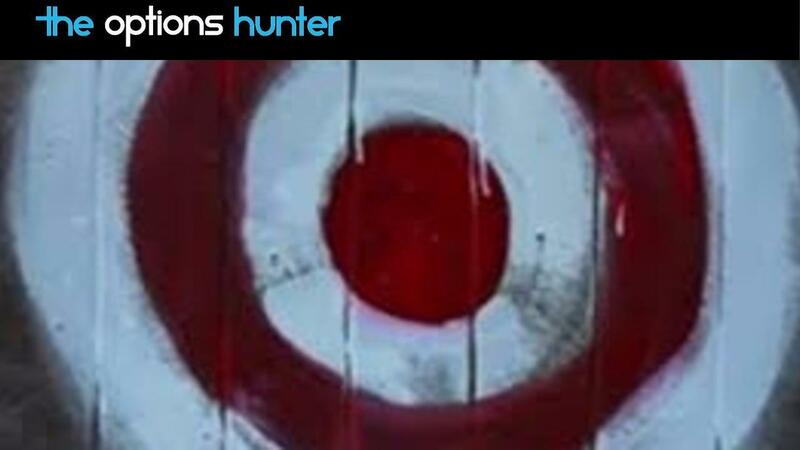 The Options Hunter (“we” “us”, “OH”) provides web based services known as SNIPER, SHARP SHOOTER, and BIG GAME, as well as all services related to the web services (“the Service”), including various email alerts (“Alerts”), and seminars and webinars (“seminars”) (collectively “Service”). The use of this Service is subject to your compliance with the terms and conditions set forth in this Agreement. Your use of this Service acknowledges your agreement to be bound by the terms of this Agreement. If you do not agree to be bound by the terms of this Agreement, do not use this Service. This Agreement is made between OH and you, the user and/or member of the Service. OH, in its sole discretion, reserves the right at any time to amend the terms and conditions of this Agreement. Further, OH, in its sole discretion, may change, discontinue or eliminate any content or feature of the Service and may change fees or charges for use of the Service. The content and information provided by OH is for your personal, internal use only. You may not syndicate, license, redistribute any information from the Service to any third party, whether as a stand-alone product or in conjunction with other data or information for any purpose without the prior consent of OH. You acknowledge that all proprietary rights in the information from the Service shall remain the sole and exclusive property of either OH or any third party from which information is provided by and disseminated from the Service. You may not download electronic copies of our content for any purpose other than those permitted by law. Further, you shall not engage in any systematic downloading or other activity directed towards any of the content, in whole or in part, found on the Service that would create an electronic database or archive containing such content. You may seek information on permission for systematic access (data feeds or API interface) may email requests to [email protected]. You may not violate or attempt to violate the security of the Service by, without limitation; (a) accessing data not intended for you or logging into a server or account with you are not authorized to access, (b) attempting to probe, scan or test the vulnerability of a system or network or to breach security or authentication measures without proper authorization, (c) attempting to interfere with service to any user, host or network, including, without limitation, via means of submitting a virus to the Service, overloading, conducting “denial of service attacks”, “flooding”, “spamming”, “mail bombing” or “crashing”, (d) sending unsolicited e-mail, including promotions and/or advertising of products or services, (e) forging any TCP/IP packet header or any part of the header information in any e-mail or newsgroup posting, or (f) attempting to decipher, decompile, disassemble or reverse engineer any of the software comprising or in any way making up a part of the Service. Violations of system or network security may result in civil or criminal liability. IT will investigate potential violations and will, where applicable, vigorously prosecute individuals to the fullest extent of the law. You must be 18 years of age or older to subscribe to this service. Trial subscriptions if applicable are limited to one (1) subscription per subscriber per year. When you register to become a subscriber, you agree to provide accurate, current and complete information. You further agree to maintain and update your information on a timely basis for accuracy and completeness. If any information provided is untrue, inaccurate or incomplete, this Agreement becomes voidable at the sole discretion of OH. Your subscription (whether trial or paid) provides unlimited access to the basic Service and other premium options for an individual user whose identity must be ascertainable by a unique email address. You may not share your username and password with any other person(s) and you acknowledge that you are responsible for any and all activity conducted through your account. You agree to pay all fees and charges incurred in connection with your subscription to the Service (including any applicable taxes) at the rates in effect when the charges are incurred. Your subscription will renew automatically until you notify OH in writing and acknowledged by OH of your decision to terminate your subscription. If you subscribed to our services using a credit card, we will contact you via e-mail only if your card has expired. For your convenience, we will automatically update our files to include the new expiration date on your credit card so that your service may continue uninterrupted. Termination of service will take effect no later than 10 business days after acknowledgment of your notification. Monthly subscriptions will not be reimbursed or refunded. Should our Physics of the Market course fail to enhance your trading methodology within the next 10 days, just send us a message and we'll refund your money, no questions asked. The Service is solely directed to individuals residing in the United States. We make no representation that materials provided in the Service are appropriate or available for use in other locations. Those who choose to access the Service from other locations do so on their own initiative and at their own risk, and are responsible for compliance with local laws, if and to the extent applicable. We reserve the right to limit the availability of the Service and/or the provision of any service or product described thereon to any person, geographic area, or jurisdiction we so desire, at any time and in our sole discretion, and to limit the quantities of any such service or product that we provide. The Service may contain links to other Internet web services or resources. We neither control nor endorse such other web services, nor have we reviewed or approved any content that appears on such other web services. You acknowledge and agree that we shall not be held responsible for the legality, accuracy, or inappropriate nature of any content, advertising, products, services, or information located on or through any other web services, nor for any loss or damages caused or alleged to have been caused by the use of or reliance on any such content. The information on the Service is based on sources The Options Hunter believes to be reliable but is not guaranteed by us and does not purport to be a complete or error-free statement or summary of the available data. We do not warrant, endorse or guarantee the completeness, accuracy, integrity or timelines of the information. You must evaluate, and bear all risks associated with, the use of any information provided hereunder, including any reliance on the accuracy, completeness, safety or usefulness of such information. This information is not intended to be used as the primary basis of investment decisions. It should not be construed as financial or other advice or as an offer to sell or the solicitation of an offer to buy any security in any state where such an offer or solicitation would be illegal. Any information expressed herein on this date is subject to change without notice. Any opinions or assertions contained in this information do not represent the opinions or beliefs of The Options Hunter or one or more of its employees, including the editors of the Alerts who may have a position in any of the securities discussed. UNDER NO CIRCUMSTANCE IS THE OPTIONS HUNTER LIABLE FOR ANY INCIDENTIAL, CONSEQUENTIAL, PUNITIVE OR SPECIAL DAMAGES OF ANY NATURE WHATSOEVER ARISING OUT OF OR IN CONNECTION WITH PROVIDING OR FAILING TO PROVIDE SERVICE, INCLUDING, WITHOUT LIMITATION, LOST PROFITS OR LOSS OF BUSINESS. THIS SECTION SHALL ALSO SURVIVE THE TERMINATION OF THIS AGREEMENT. Neither The Options Hunter, nor its affiliates, suppliers, advertisers, affiliates, or agents or sponsors are responsible or liable for any indirect, incidental, consequential, special, exemplary, punitive or other damages under any contract, negligence, strict liability or other theory arising out of or relating in any way to the Service and/or content contained on the Service, or any product or service purchased through the Service. Your sole remedy for dissatisfaction with the Service and/or content contained within the Service is to stop using the Service. The sole and exclusive maximum liability to company for all damages, losses, and causes of action (whether in contract, tort (including, without limitation, negligence), or otherwise) shall be the total amount paid by you, if any, to access the Service. Indemnification. You agree to indemnify, defend and hold us, our officers, directors, employees, agents and representatives harmless from and against any and all claims, damages, losses, costs (including reasonable attorneys’ fees), or other expenses that arise directly or indirectly out of or from (a) your breach of this Agreement, including any violation of the Code of Conduct above; (b) any allegation that any materials that you submit to us or transmit to the Service infringe or otherwise violate the copyright, trademark, trade secret or other intellectual property or other rights of any third party; and/or (c) your activities in connection with the Service or any services related to the Service. This indemnification extends to and includes any attorney’s fees and costs incurred by us arising from any action or claims to which this indemnification applies, or from the contesting of the applicability of this provision. This section survives termination of this Agreement. GENERAL – If either of us does not enforce any right or remedy available under this Agreement, that failure is not a waiver of the right or remedy for any other breach or failure by the other party. Our waiver of any requirement in any one instance is not a general waiver of that requirement and does not amend this Agreement. If any part of this Agreement is held invalid or unenforceable, that part is interpreted consistent with applicable laws as nearly as possible to reflect the original intentions of the parties and the rest of this Agreement remains in full force and effect. The provisions of this Agreement that are contemplated to be enforceable after the termination of this Agreement survive termination of this Agreement. The Options Hunter, is not a registered investment advisor, broker/dealer, or research analyst/organization. Readers are advised that the commentary and information on this Service are issued solely for information purposes only. The opinions and analyses included herein are based from sources believed to be reliable and written in good faith, but no representation or warranty, expressed or implied is made as to their accuracy, completeness or correctness. YOU SHOULD VERIFY ALL CLAIMS AND DO YOUR OWN RESEARCH BEFORE INVESTING IN ANY SECURITY OR DERIVATIVE INVESTING IN SECURITIES OR DERIVATIVES IS SPECULATIVE AND CARRIES A HIGH DEGREE OF RISK. YOU MAY LOSE PART OR ALL OF YOUR PRINCIPAL INVESTMENT. Readers are urged to consult with their own independent financial advisors with respect to any investment. All information contained on this Service should be independently verified with the companies mentioned. Neither The Options Hunter nor its officers, directors, partners, contributors or employees/consultants, accept any liability whatsoever for any direct or consequential loss arising from any use of information on this web service or any use of information in its newsletters. Your privacy is very important to us. We want to make your experience with The Options Hunter as enjoyable and rewarding as possible, and we want you to use all of The Options Hunter features with complete confidence. The Options Hunter collects information in different ways from Visitors and Members who access the various parts of our Services. We use this information primarily to provide a customized experience as you use our Services, and generally do not share this information with third parties. However, we may disclose personal information collected if we have received your permission beforehand or in very special circumstances, such as when we believe that law requires such disclosure or other special cases described below. Members are asked to provide certain personal information when they sign up for our Services including name, address, telephone number and billing information (such as a credit card number and expiration date). The personal information collected from Members during the registration process is used to manage each Member’s account (such as for billing purposes). This information is not shared with third parties, unless specifically stated otherwise or in special circumstances. We are committed to handling your customer information with high standards of information security. Your credit card information is stored only in encrypted form and processed using a secured order server with Secure Socket Layer (SSL) technology. We restrict access to your personally identifiable information only to employees with proper clearance who need to know that information in order to provide products or services to you. While we make every effort to ensure the integrity and security of our network and systems, we cannot guarantee that our security measures will prevent third-party “hackers” from illegally obtaining this information. If you to prefer to place your order by telephone, you can call us during normal business hours at 1-800-332-2999 with your credit card and billing information. Some Options Hunter products and services are offered to Visitors and Members in conjunction with a non-affiliated partner. To provide Visitors and Members some of these products and services, the partner may need to collect and maintain personal information. In these instances, you will be notified before any such data is collected or transferred and may decide not to use that particular service or feature. The Options Hunter may need to share non-identifying and aggregate information (except as described above), but not personal information, with such partners in order to administer the co-branded products or services offered. When Visitors or Members send email inquiries to OH, we use the return email address to answer the email inquiry we receive. The Options Hunter does not use the return email address for any other purpose and does not share the return email address with any third party. We may periodically conduct both business and individual customer surveys. We encourage our customers to participate in these surveys because they provide us with important information that helps us to improve the types of services we offer and how we provide them to you. Your personal information and responses will remain strictly confidential, even if a third party conducts the survey. Participation in our customer surveys is voluntary. We take the information we receive from individuals responding to our Customer Surveys and aggregate it with the responses from other customers to create broader, generic responses to the survey questions (such as gender, age, residence, hobbies, education, employment, industry sector, or other demographic information). We then use the aggregated information to improve the quality of our services to you, and to develop new services and products. This aggregated; non-personally-identifying information may be shared with third parties. Services and Web services we sponsor have security measures in place to protect the loss, misuse, and alteration of the information under our control. While we make every effort to ensure the integrity and security of our network and systems, we cannot guarantee that our security measures will prevent third-party “hackers” from illegally obtaining this information. In the event of a change in ownership, or a merger or an acquisition of OH by another entity, all (or select aspects) of OH customer information (including email addresses) may be transferred to this new entity or owner. All OH subscribers and registered users will be notified within sixty days business days of any change in ownership, merger or an acquisition of OH assets by a third party. Subscribers and users may choose to access and modify any of their registration and subscription information at that time.